Shannon Lawson is a well-connected songwriter in the Nashville area. 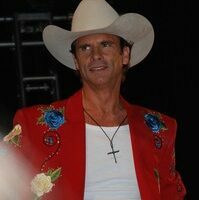 He often performs with fellow Muzik Mafia members (John Rich, James Otto, Gretchen Wilson, Cowboy Troy, etc). He also sang backup and helps some of the celebrity contestants on John Rich's reality TV show filmed in Nashville: Gone Country. Here are our photos & highlights from some of those performances. Lorenzo Lamas: This Hollywood Hunk Has Gone Country! There are a lot of interesting notes about Lorenzo Lamas and his performance at the Wildhorse Saloon in Nashville — for the taping of Gone Country 2. For starters, his daughter Shayne Lamas was the lucky bachelorette chosen by Matt Grant on this season’s The Bachelor. And Lorenzo’s ex-wife Shauna Sand was at this show with their little girl. Wondering who penned which songs on CMT’s Gone Country music competition? Here are the professional songwriters — all from Nashville, the celebrities who were responsible for singing their songs, and the title of the songs they wrote for the show Gone Country. 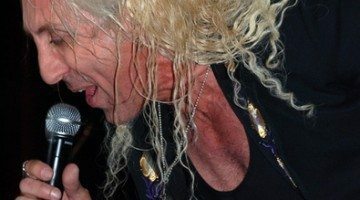 Is the Country music industry ready for Dee Snider? Is Dee Snider ready for Country music? 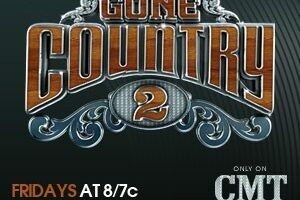 Those are the questions everyone is asking after the taping of CMT’s newest reality TV show called ‘Gone Country’.